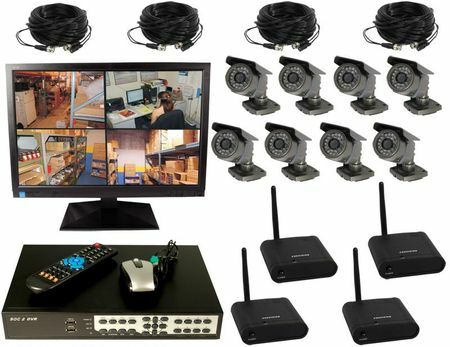 This surveillance system allows you to install up to 8 cameras (4 wired and 4 wireless cameras) to digitally record all activity. If you bought these items separately it would cost you $2,673.00, by purchasing the complete system you only pay $1,877.00 - a savings of $760.00. If you would like to create your own system start with our 8 CH DVR and 19" monitor then choose your cameras and cables.